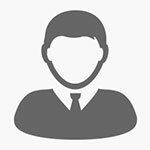 The perfect staffing of our office is its most valuable element over time. Our partners, lawyers, administrative staff and trainee lawyers, are selected by the criterion of their ability and experience, in order to provide high quality legal services in all the branches of law. To get in touch with any member of our office, send e-mail or call us. 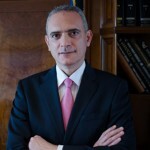 Born in 1960.Graduate of the Law School of the National and Kapodistrian University of Athens. Attorney at the Supreme Court. Member of the Legal Service of the Hellenic Railways Organization S.A.. He is activated in the sectors of Civil, Corporate, Commercial and Criminal Law. He speaks English and French. 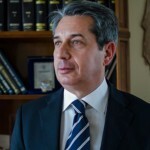 Born in1966.Graduate of the Law School of the National and Kapodistrian University of Athens. Attorney at the Supreme Court. 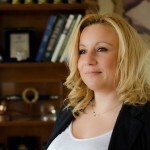 Member of the Association of Greek Criminal Lawyers. He is activated in the sector of Criminal Law. He speaks English. Born in 1985. Graduate of the Faculty of Law of the University of Athens. 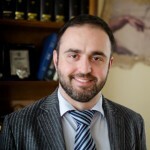 Member of the Association of Greek Lawyers. Since 2009, she is participating in the European Committee on issues of Rural Policy. She is specialized in criminal matters. She speaks English and French. Born in 1985. 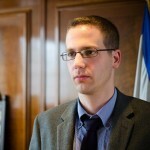 Graduate of the Law School of the National and Kapodistrian University of Athens. Member of the Athens Bar Association. He’s been working in the office of Petros Mantouvalos since 2006. He speaks English, French and Spanish. Born in 1989. Graduate of the Law School of the National and Kapodistrian University of Athens. 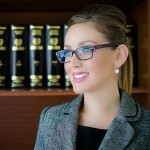 She is specialized in cases of Civil, Commercial and Administrative Law. She speaks English, French and Italian. Born in 1989. Graduate of the Faculty of Law of the Democritus University of Thrace. 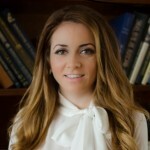 She is specialized in Civil and Commercial Law. She speaks English, German and Spanish. Born in 1990. Graduate of the Law School of the National and Kapodistrian University of Athens. 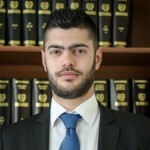 Trainee lawyer at the office of Petros Mantouvalos since 2012. He speaks English and German. Born in 1990. 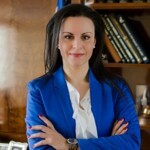 Graduate of the Faculty of Law of the National and Kapodistrian University of Athens. She speaks English and German. Born in 1973. Graduate of the IEK (Vocational Training Institute) XYNI, as Secretary of Legal Professions and Executive Secretary. 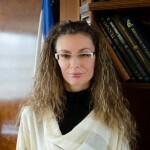 She’s been working as secretary of Petros Mantouvalos since1997. She speaks English and Italian. Born in 1974. Graduate of the Department of Communication and Mass Media Studies of EKPA (National and Kapodistrian University of Athens). 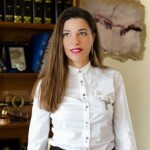 Previously, she has worked at the Athens News Agency, the Journalist Organization Lambrakis and the Broadcasting Station 9.84. She’s been working as secretary of Petros Mantouvalos since 2006. She speaks English and French.